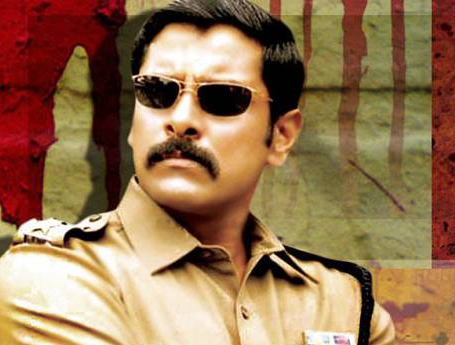 [articleBody] => The sequel to actor Vikram's 2003 Tamil film "Saamy", which will reunite him with director Hari after a decade, has been titled "Saamy Square" and not "Saamy 2". the project started rolling here On Saturday. Confirming the title, the film's publicist told IANS: "It has been titled 'Saamy Square' instead of 'Saamy 2'. The director will reveal the exact reason in due course. The principal shooting began on Saturday." The project was supposed to go on the floors much earlier. However, due to Vikram's other commitments, it had to be deferred. "After finishing the first schedule in the city, the shoot will shift to Delhi, Mussoorie and followed by Nepal," a source from the film's unit told IANS. Keerthy Suresh and Trisha are playing the leading ladies. Trisha, who was part of the first project, will be seen playing a lengthy role in the sequel. "Trisha is not playing an extended cameo, contrary to rumours. Both the heroines have very important parts to play and their characters are crucial from the story's perspective," the source said. Vikram will return as the foul-mouthed, twirled mustache sporting police officer in the project, which is being bankrolled by Shibu Thameens and has music by Devi Sri Prasad. The sequel to actor Vikram’s 2003 Tamil film “Saamy”, which will reunite him with director Hari after a decade, has been titled “Saamy Square” and not “Saamy 2”. The project was supposed to go on the floors much earlier. However, due to Vikram’s other commitments, it had to be deferred. “After finishing the first schedule in the city, the shoot will shift to Delhi, Mussoorie and followed by Nepal,” a source from the film’s unit told IANS. “Trisha is not playing an extended cameo, contrary to rumours. Both the heroines have very important parts to play and their characters are crucial from the story’s perspective,” the source said.